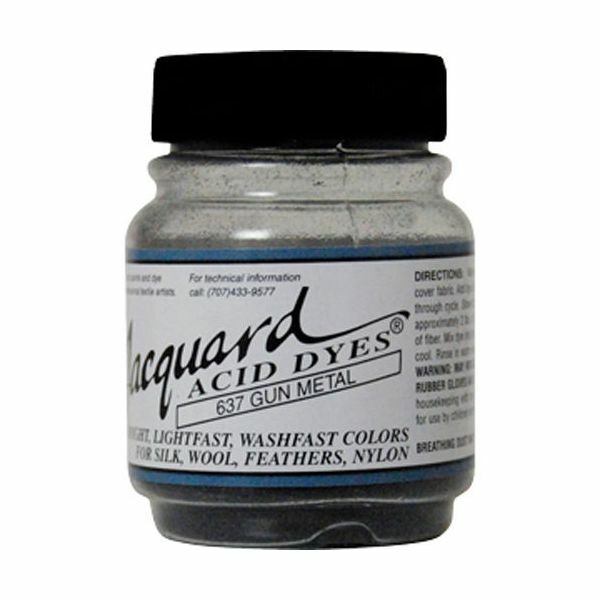 Jacquard Gun Metal Acid Dyes - JACQUARD-Acid Dyes. Concentrated powdered hot water dyes that produce the most vibrant possible results on protein fibers including silk, wool, cashmere, alpaca, feathers and nylon. The only acid involved is the vinegar you add. Each 1/2 ounce bottle will color up to two pounds of fiber depending on the depth of shade desired. 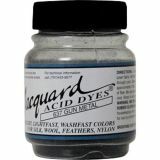 In addition to garment dyeing you can also paint or print with these dyes. 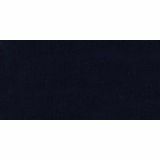 Extremely brilliant and colorfast they produce a uniform dye job and the colors are beautiful, pure, transparent and luscious. Made in USA.